Adding a whole new level of excitement to Bali’s social scene, ISMAYA Group presents its first beachfront establishment in Nusa Dua, Manarai Beach House. Changing the face of lifestyle in Nusa Dua, Manarai offers a full-fledged beach experience day and night. Located right at the beachfront, Manarai is the perfect getaway from the hustle and bustle of the city. Blending Balinese tradition and modernity, the space is heavily adorned with enchanting local craftsmanship with a contemporary touch. Equipped with two swimming pools and day beds at the pristine beach in Bali, Manarai has all the right ingredients for a perfect summer. To elevate your tropical experience, Manarai offers world-class music and entertainment that ISMAYA Group is known for. 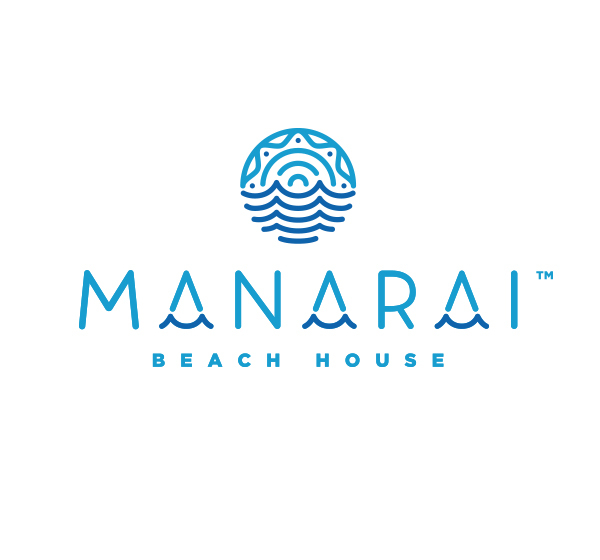 Providing comfort just like home, the beach house has a wide selection of international and local dishes that you can find exclusively at Manarai. Serving you a variety of Eastern and Western delicacies, including for the health-conscious mind, Executive Chef Stefan Poyet has crafted the quintessential comfort food for each visitor. Working in the best culinary scene, he was part of the prestigious 2-Michelin-star restaurants in Paris. Poyet’s unique creations can be enjoyed by everyone who pursues comfort yet unique taste of his dishes at Manarai. Complementing your gastronomic experience, Manarai serves whimsical cocktail selections, fine blend of Balinese Jamu (traditional herbal drinks) and Manarai’s homemade popsicles (alcoholic and non-alcoholic). Truly a lifestyle institution in the South of Bali, Manarai welcomes each of you to enjoy the tranquil yet lively scene of Nusa Dua’s coastline. Come by for the tropical delight you’ve been longing for. It is a marvelous place. Great environment with nice staff, music and pool. I loved it. They have a good variety of drinks. The do great iced caramel latte with crashed ice. Just for the feedback,server just inform us about the complimentary drink for the kids after we order everything. Only I have to say that here is one of great beach club in Bali! The atmosphere too quiet, not hype enough... More like you are enjoying the hotel swimmingpool. The staff very nice, friendly , communicative but little bit less informations of product. The restaurant area very cozy. Not fit to the club themes. I ordered C-Cups, ya that's the name of the drink. The drink was very unique, presented in a coconut shell with mint leaves and a piece of pretty orchid flowers on top. The taste was magnificent! It was a new flavour and new taste that melted in my mouth. It was so unique and yummy, so refreshing! Definitely come back here! Recomended for Cocktail! Good atmosphere and music. unfortunately hard to find sunset there. Very nice place to hang out with family and friends. Kids friendly too. I bring my nephew 1.5 yo, and he is safely walking around. Beach view directly from the bed. I love the music, very chillaxing. We ordered the pizza, and surprisingly super tasty. I will definitely come back again soon. I really love this place and it makes me feel comfy. The setting, coffee and food was sensational. Was a bit quite, but it was earlyish in the morning. Slight difficulty in communication trying to order the correct food/drinks. I've been living in Bali for almost 4 months! 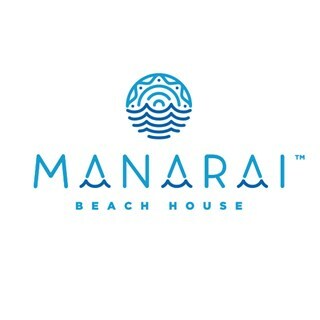 I was visiting many beach club in Bali, and Manarai is my favorite! Manarai has a fantastic sand and beach, not only that I really love their cocktails, if you go there at sunday they have buy 1 get 1 free for cocktail, I love seeing all of their staff, they were so friendly and nice! Excellent place open to public! Nice service, staff, food and location! Our family enjoyed visiting there almost every day of our vacation. The ambiance, quality of good and experience were very special and memorable. Moe always greeted us with a smile and made us feel very welcome. The entire staff was very friendly and accommodating. Love the place. The food was really amazing compare to other beach clubs. They are not just selling the view and atmosphere but also the quality of food and beverages. It’s a kids friends environment. Should add more variants of foods and add kids menu. Very Good Place for Hanging Out , release your tense, not too crowd so you could really enjoyed the ambience, and very worth of money. For sure i’ll be back! Great vibe and setting, very friendly, happy and attentive staff, delicious food and yummy drinks. Best cocktail we've ever had -Highly recommend C-cup, Yum!